This Startup Takes You On A Different Kind of Trip! It’s boom time in India for startups. Name a need, and there’s a startup for it. From home delivery of prasad to getting massages for your cat, Indian entrepreneurs are picking at problems and finding innovative solutions. But every once in a while, you come across a startup that takes your breath away. And simultaneously makes you very excited. Indiabongs is an ecommerce startup that delivers “smoking and party accessories” straight to your doorstep. It’s all legal and above board, co-founder Arpit assures us. He’s no hippie sadhu parading his wares – he’s an engineer from NIT Himachal Pradesh who worked in Mu Sigma before quitting and starting the company. 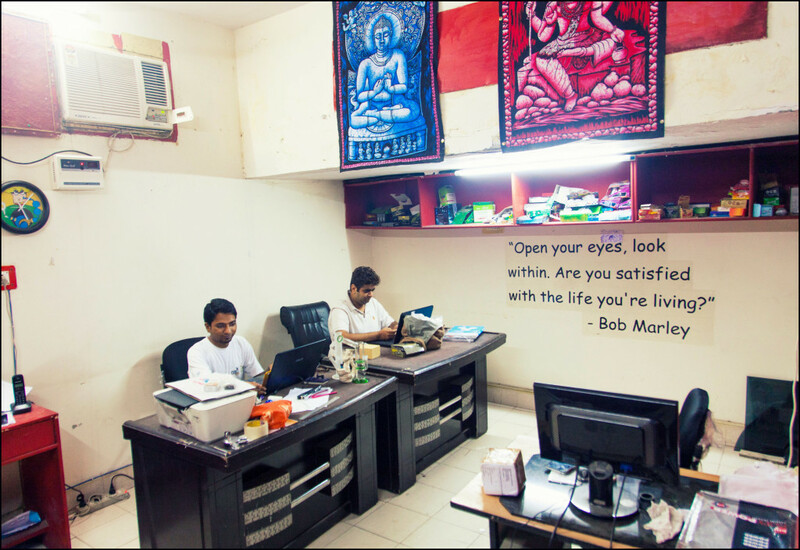 He and his cofounders, Amrit and Nitin, both seniors from college, work out of a very suitably decked office in Delhi. It’s helped that the 3 co-founders are smoking connoisseurs themselves. “Yes, we are just like Bob Marley, Shahrukh Khan and President Obama.“, laughs Arpit. We understand the needs of their target audience.” The attention to detail is apparent. As you log in to the website, an image of the Buddha under the Bodhi tree on the background of a shop shutter which cheekily asks you to “roll it up”, sets the tone for what is to follow. The product range is remarkable (saxophone-shaped pipe, anyone? ), and designed to satisfy even the most demanding smoker. It’s not surprising that this company has developed a cult following. It is audacious in its intent, and proudly embraces what is a bit of a social taboo. As the Indian startup ecosystem matures, one could expect to see many such ventures that would have been unthinkable a generation ago.